The 21st century has been dominated by an almost compulsive race to find new pathways for city development. As cities seek to regenerate via the knowledge-based economy, now more than ever dynamic leadership is required order to navigate new and complex challenges while building community. This book is about generative leadership in knowledge city development. Leadership and the City is rooted in a conviction that the leadership in a city is crucial in order for it to adjust strategically to major transformations and thus secure a good future for its inhabitants. The book opens a fresh view of leadership by focusing on generative leaders and their modes of leading, instead of spatial categorisations, governance structures and/or policy contents and processes. It investigates generative leadership by elaborating the modes of leadership, power and strategies in influence networks. The key points are highlighted with several empirical cases. These include Akron and Rochester (USA), Münich (Germany), Leeds (UK), Barcelona (Spain) as well as Helsinki, Tampere and Seinäjoki (Finland). 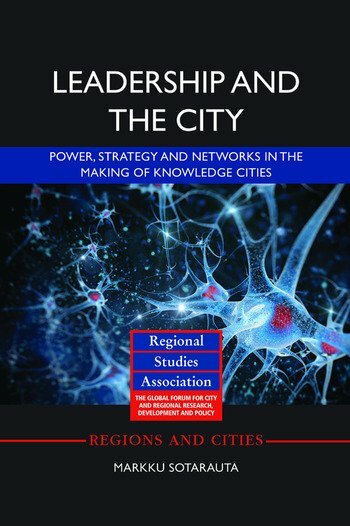 This book will be of interest to researchers and practitioners concerned with Leadership, Urban Studies and Strategic Management. Markku Sotarauta is professor of policy-making theories and practices in the School of Management, University of Tampere, Finland.